Becker Nachrichtentechnik GmbH offers a large portfolio of high performance broadband RF amplifiers. Optimized for linearity, high dynamic range and low noise, they cover all widely used radio standards like cellular, satellite radio, TETRA/BOS, GNSS, GPS, 802.11, including the new bands for LTE-U. They amplify wideband radio signals from shortwave over UHF, VHF up to 8 GHz in 50 Ohm technology (I-band, G-band, P-band, L-band, S-band, C-band and X-band). 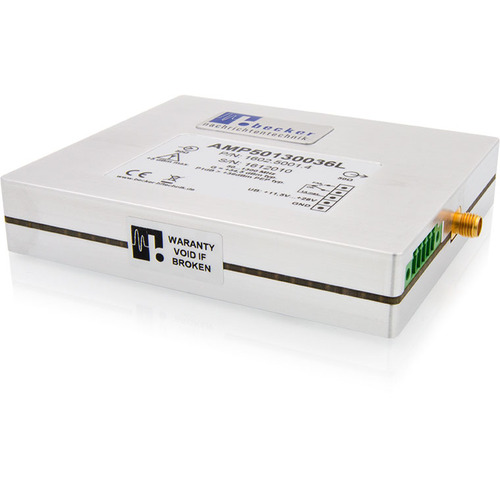 They are used as compact RF drivers, antenna pre-amplifiers or RF boosters in a variety of applications ranging from tunnel radio coverage extension, over airspace radio monitoring to in-ear monitoring and can also be offered as 1U 19” rack variants. Due to their advanced design, the power consumption is significant lower than typical industry alternatives, saving cost at customers with respect to cooling.